Operate, maintain & improve the National Blue Alert System that enables communication between law enforcement, transportation & news/social/wireless medias. Work Nationally to bring Body Armor, Body Cameras, Squad Car Cameras & more to the law enforcement agencies that are not able to obtain this critical safety equipment. Since we are a All Volunteer Non-Profit, we only need 20% of Donations for Expenses like, Office Space, Phones, Web Site and Marketing Materials. 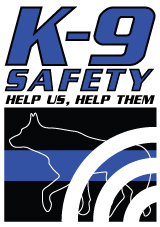 The other 80% Goes to Programs such as, Direct to Family support, Building or Re-Building Memorials, K9 Bulletproof Vests, Bite Suits for Training, Honor Chairs, Memorial Bracelets to Families of the Fallen. Veteran Operated Non-Profit Organization Member - We are proud members of the Veteran Business Project. The Blue Alert Foundation was Founded and Operated by an 100% Service-Connected Disabled Veteran that served in the United States Army, Military Police (31B) and Communications Specialist (31Z) (SDVOSB). Join us in showing your support for our armed forces by proudly supporting the causes they believe in by this United States military veteran! 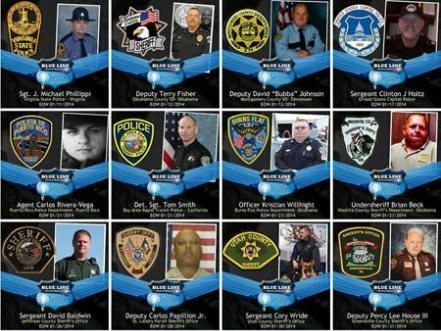 We lost 12 Brothers in the "line of duty" during the first month of 2014. Every 62 hours in January we lost a law enforcement Officer. Let us NEVER forget their sacrifice. Losing your identity is expensive. You don't have to spend a fortune to protect it.